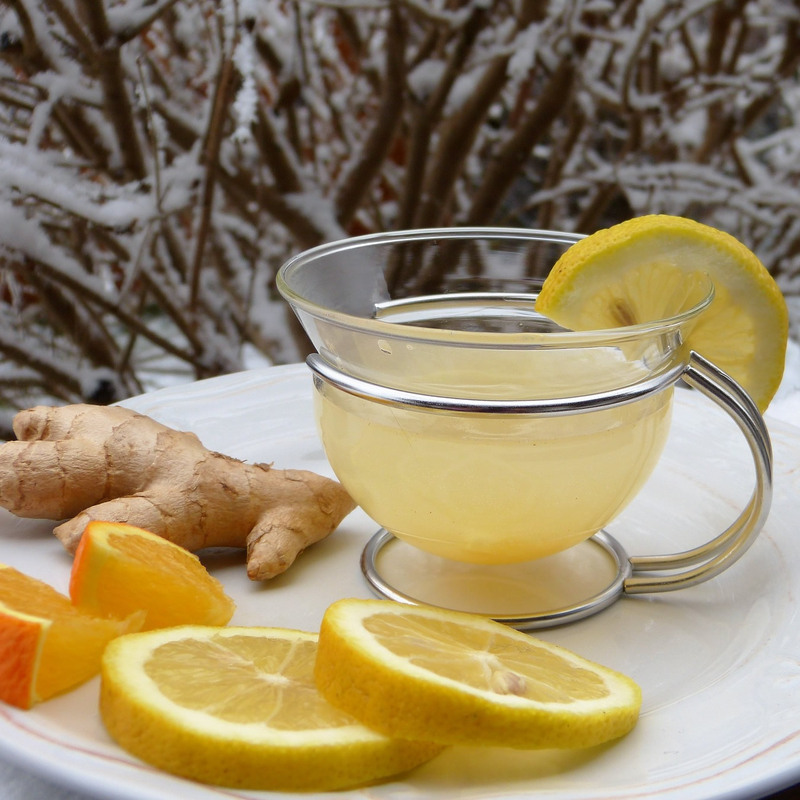 Ginger tea has warming and stimulating properties and is especially good during the cold winter months. Ginger has many health properties, most commonly known to help with nausea and support digestion. Avoid ginger tea at bedtime if you are sensitive, since it is stimulating and may interfere with sleep. This tea is warming on cold winter night and will help you through the cold & flu season should you get sick. Ginger tea does not have to be drunk warm or hot, it can also be drunk at room temperature to benefit from its warming properties. Ginger tea is also excellent to support digestion and to sooth tummy aches. Peel ginger with a spoon, I like using a grapefruit spoon for this purpose. Removing the peel will remove any bitter taste that can come from the peel. Slice the ginger in to thin slices. Place the ginger slices in a pot and add filtered water. Bring to a boil and let simmer with lid on partially for 10-20 minutes. The longer time will make a stronger tea. To make the tea even stronger add more time or ginger, if the tea is too spicy add more water, adjust according to your taste. Remove from stove and pour through a sieve in to a cup. Add your favourite citrus (lemon, lime or orange) to taste. (c) Copyright 2017 - All Rights Reserved Annika Ek International Inc.